Our barn is in much need of updating! 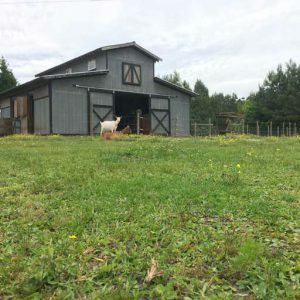 We have some low spots that are a health concern for animal feet and slipping, our stalls need mats to keep stalls cleaner and provide a warm base for the pigs, and we need to add a storage room for supplies. We would greatly appreciate your help in bringing our barn up-to-date. Lastly, in order to keep our animals habitats clean and managed, we could use your help with fixing our broken golf cart. 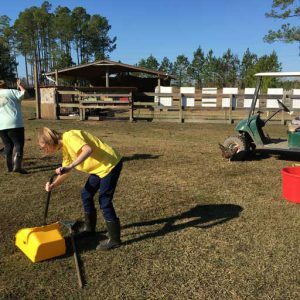 Our volunteers use this cart to collect manure throughout the pasture to keep our parasite count down and this management has GREATLY improved the health of our animals.